The 9th Home and Garden Expo (HGE) in support of Relay for Life of Second Life and the American Cancer Society, opened its doors to the public on Friday, May 19th. Taking place across nine regions, all called Hope and a number (1 through 9), the event will run through until Sunday June 4th, 2017, offering some of the finest in home, garden, and furnishing designs available across the grid. Also to be found in the Expo is Eclair Martinek’s winning garden design from the recent Filling the Cauldron event, and very much a place to visit and enjoy. As well as providing the opportunity to discover the best in housing designs ans itself, there will be a wide range of events going on through the two weeks of HGE, including talks, classes, entertainment, three breedable auctions, a roller coaster However, at the time of writing this article, the event website is conspicuous for its absence of any schedule or significant list of activities, so an eye should be kept on the Home and Garden website for updates. The 3rd annual Unmasking a Cure Medieval Faire opened its gates on Friday, May 19th, and will run through until Sunday, June 18th, inclusive. Whether you are into medieval role-play or not, the Faire is offering a host of events and activities right throughout the week, with something for just about everyone to try or enjoy – all with the aim of raising funds for RFL of SL. The event, organised by a dedicated team of Unmasking A Cure RFL Team volunteers, features a wide range of events and activities and a programme of entertainments. There is, for example, the 5th annual UAC Grand Joust, with eight preliminary rounds leading up to the Grand Joust on the final day of the Faire; a Trivi-a-thon on Sunday, June 10th starting at 08:00; and the 2nd annual Relay Run around the event race track on Saturday, June 25th at 19:00 SLT. This year, the event is taking place across two regions hosting the jousting tilts, gorse racing course, the sword fighting / mêlée amphitheatre, the archery butts, gotya garden, and a traveller’s camp. Some 80 merchants are participating in this year’s event, and on the entertainment front, the ChangHigh Sisters will be performing alongside top names from the SL arena of live performers, and there will be a stable of DJs to keep folk happy throughout the month. The activities at the faire are open to all to try, while the merchants offer plenty of scope for shopping – including items available with proceeds to RFL of SL. Table games can also be found by those seeking quieter pursuits or a break from shopping. Period role-plays are especially welcome, and are invited to visit the faire in character and explore the two regions. For those who would like to fully immerse themselves in the atmosphere, there is a limited number of furnished cottages and tents available for rent for L$250 a week or L$1,000 for a month, with proceeds going to RFL of SL. For full details of the event, please refer to the Unmasking A Cure website. 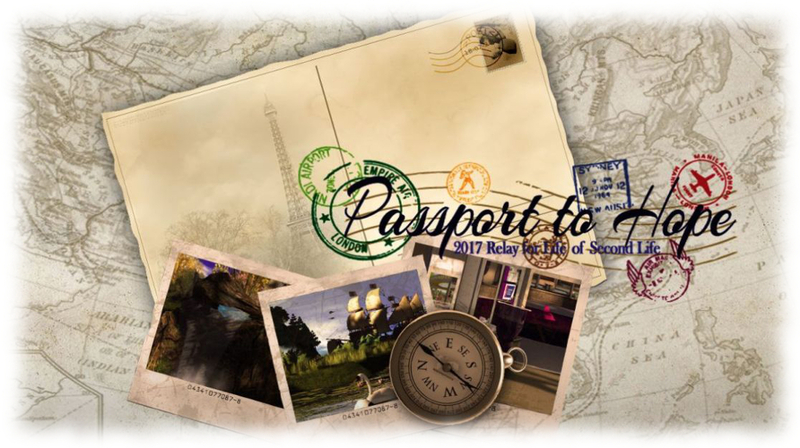 The 2017 Second Life Science Fiction Convention touched-down safely on the main grid on Friday, March 24th, ready to embark Second Life residents on flights of intergalactic adventure and fancy which will continue through until April 2nd, 2017. Active across six elemental themed regions, the convention this year celebrates its 10th anniversary. Once again, it presents the best in Second Life science-fiction related role-play, with some of the top sci-fi role-play groups, content creators and designers represented within the regions, all bound together in the aim of raising funds for Relay for Life of Second Life and the American Cancer Society. As well as the role-play group, designers, visiting folk, and intriguing region layouts, the event features a range of entertainment and presentations. So much is going on through the week in fact, that the best way of staying up-to-date on things is to check the convention’s event calendar. This can also be found at strategic points scattered throughout all of the convention’s regions on browsable display boards, so keeping up-to-speed on where to go and what to see is pretty easy. Life (Forty Two) – the centre-most region, and possibly the best landing point for explorations on foot. Note that all of the regions are rated Moderate. For intra-region getting around, there is a monorail systems and a network of stargates – although these didn’t appear to be working on my visit (possibly one of the Energy Lifeforms of M4C-862 was getting up to mischief…). Also, when visiting the landing points, keep an eye out for the free Sci-Fi Con 2017 outfits by Design’s Designs, which can be obtained for the exceptionally most fee of L$2, and which comes in both Fitmesh and standard mesh sizes. I confess, I didn’t fully get the elemental theme with the convention; I’d have expected “Air” to be – well, in the air, rather than on a hill, and “Water” to perhaps be more aquatic. But this is a minor quibble in the scheme of things, as there is a lot to see, and I did particularly enjoy poking around the cityscape of “Water”. To escape the worst of the inevitable lag, you might want to disable shadows if you usually run with them enabled and drop your draw distance down if you normally have it set to a couple of hundred metres or more, other than for when taking photos. So, as I’m prone to say when previewing this event: whatever your interest in science fiction, be sure to set your phaser on fun and head back to the future with a visit to the SL Sci-Fi convention. So say we all! The start of Paint It Purple. The opening of Fashion for Life. Festivities will commence at 09:00 SLT on the morning on Saturday, March 4th, with the opening ceremony at 10:00am SL. A track has been laid, passing through all the years that RFL of SL has been active, and the stage reflects the event’s theme: Passport to Hope. Saturday, March 4th, 2017 marks the start of RFL of SL’s Paint SL Purple week. Running through until Sunday, March 12th, the campaign is aimed raising awareness and excitement as the official launch of the year’s fund-raising season for Relay for Life and the American Cancer Society draws near, by encouraging residents to paint the grid purple, the official colour of RFL of SL. There will be purple-themed events at the special Purple zone, to the west of the American Cancer Society region, and sitting between it and the kick-off celebration grounds. Events launch at 09:00 SLT on Saturday, March 4th with the Paint SL Purple Party! If you fancy going purple for the week in support for RFL of SL, you can get a Paint SL Purple kit in-world at the American Cancer Society region. RFL of SL’s major fashion event, Fashion For Life, launches on Sunday, March 5th and runs through until Sunday March 19th. Fashion for Life aims to provide an incredible shopping and entertainment experience featuring unique items, runway shows and music. Past themes for the event have included: I(2007); St. Patrick’s Day (2008), Pirates (2009), Fashion Capitols of the World (2010), Beyond Black and White (2011) … all te way up to 2016’s That’s Entertainment! This years theme is: Glam, and styles will range from formal to bohemian in a beautiful high fashion glamorous setting to the south of the American Cancer Society region. Relay For Life of Second Life is an annual fund-raising event that takes place in Second Life in July each year. Volunteers form or join teams to have fun while fund-raising and raising awareness from mid-March through mid-July. In July teams build camp sites and walk a track, just like a Real World Relay. Since 2005, RFL of SL has raised over US $2.5 million for the American Cancer Society. Since 1985, Relay For Life has become an international movement with over 5,000 Relays being held around the world. As of July 2014, RFL of SL ranks 17 out of 5,000! In fact, RFL of SL is the most global Relay event with teams and volunteers and supporters from more than 90 countries, worldwide. The 2017 Second Life Home and Garden Expo has been announced with the opening of registrations. The event will run from Friday, May 19th through to Sunday, June 4th 2017 inclusive. As with past years, the Expo will span multiple regions and feature the very best in home and garden design, furnishing and decor, all to help raise money for Relay For Life of Second Life (RFL of SL). Gacha machines will once again be a part of the event, and 50% of the proceeds from these will be paid to RFL. Machines will only be permitted within the central region for the Expo, and will be placed in a premium location there. One gacha machine is included in all exhibitor packs, and additional machines can be bought for L$500 each, also 50/50 split between merchant and RFL of SL. Further details on the event can be obtained through the Home and Garden Expo 2017 website, where blogger registrations will be opening in the near future. In the meantime, press enquiries can be made in-world to Kaerri Rae. 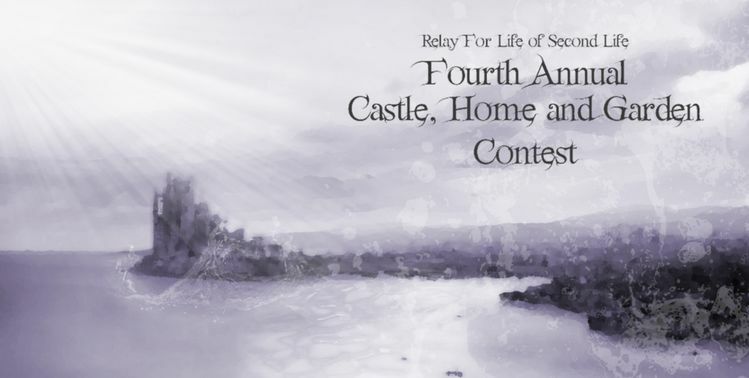 The fourth annual Castle, Home and Garden contest will take place in Second Life from June 3rd through June 24th inclusive, in aid of Relay for Life of Second Life. Registrations are open for both contestants and merchants – but spaces are filling up! Using the building tools provided within Second Life, RFL Teams and individuals are invited to build a one-of-a-kind original build castle or home, with or without an associated garden, or design a garden setting, in one of 14 themed regions. The completed builds are then opened to the public to explore, and are voted upon by a both a panel of judges and the public at large. Winning entries as decided by the judging panel can with up to L$200,000 (castle) or $100,000 (Home or Garden design), and L$100,000 for the popular vote competition, with all prizes being paid into the winning RFL Team’s RFL kiosk (and thus to RFL of SL) or to a general RFL kiosk in the case of individual entries. In addition, all of the houses and castles included in the event are then offered up for auction to the highest bidder, with all proceeds from the auction also going to RFL of SL. Note that is order to be auctioned, all home / castle builds must be transferable. Also note that entrants will be required to run at least one event at their build when the regions are open to the public. 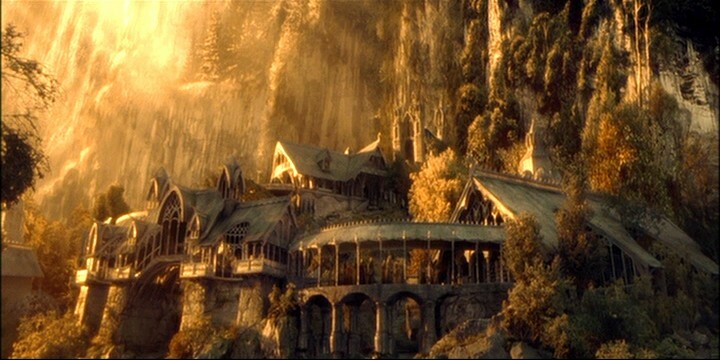 The 14 themed regions for the contest are: Atlantis, the Sunken City; Beauty and the Beast; Bedrock (Flintstones-style theme); Bikini Bottom (Spongebob Squarepants inspired); Christmas Town; Game of Thrones: King’s Landing; Game of Thrones: Winterfell; Halloween Town; Harry Potter: Hogsmead; Lord of the Rings: Rivendell; Labyrinth; Springfield (Simpsons inspired); Star Wars: The Death Star; 1984. Rviendell from The Hobbit / The Lord of the Rings is one of the 14 themed regions in the Castle, Home and Garden Contest. Image: WingNutz Films / New Line Cinema. Those wishing to sign up should refer to the Castle Home and Garden Contestants Sign-up Form for all requirements and rules of entry. In addition, there is a region – It’s A Small World – dedicated to merchants and vendors, as well as merchant locations throughout the 14 theme regions. Shops are available for free, but merchants can also opt for one of a number of sponsorship packages, which offer both more space and additional benefits. Full details on the Merchant requirements and sign-up information can be found on the Merchants Sign-up Form, and a full breakdown of the sponsorship packages can be found on the Sponsorship Levels Google document. Finally, the Castle Home and Garden team are seeking help and volunteers. If you would like to assist in running the event, please check the description of roles available on the Volunteer Sign-up Form and – sign up! You can keep up-to-date with the event, including information on events, entertainment, etc (as the latter are arranged in time), through both the official website and the official blog.